Water chestnut flour?? I’ve seen a lot of alternative flours but NEVER that one. Where do you find it and/or can you sub with anything? Is it possible to get nutritional info for your recipes? I’m a Weight Watcher member and would love to be able to ‘count the points’ for your desserts. Water Chestnut flour is a starch. You should be able to substitute Arrowroot or Tapioca flour in a recipe. Looking forward to trying this recipe. Hi I’m very interested in making the coconut doughnuts recipe but is coconut cream the same as coconut butter. 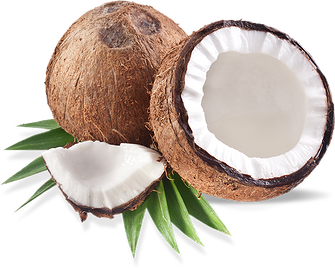 When I click on the link on coconut butter in your recipe it seems to explain them as the same thing. Just a little confused…never used coconut butter or cream so don’t know. Thanks for the help. Mixing unmelted coconut oil results in lumps in the batter. Can another type of flour be used? 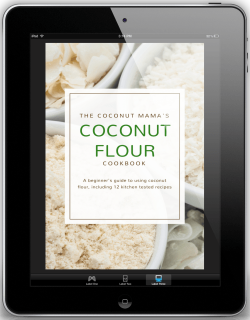 Such as coconut, tigernut or cassava flour? This looks great. We keep kosher and I can’t find kosher water chestnut flour. Any other suggestions for a substitute? Thank you. I am not familiar with water chestnut flour. Can I substitute almond flour? Why water chestnut flour….what does it do and are there subs for it? What can be substituted for chestnut flour? Thanks. How can I substitute water chestnut flour? This is not available at all where I live. Thanks. 2 questions. What’s the difference between coconut cream and coconut butter? I’ve heard so many people say they are one in the same. Also, what could be subbed for water chestnut flour? I can’t find that readily available and don’t know what else I’d use it in. Thanks.